Sunderland RCA are pleased to announce that Rob Jones will be taking over as Club Secretary with immediate effect. Rob is, of course, familiar to many at Meadow Park having already been RCA's Club Secretary before leaving to join Darlington FC. In fact, this is his third stint as secretary at the club and, of course, he is massively experienced in football administration. 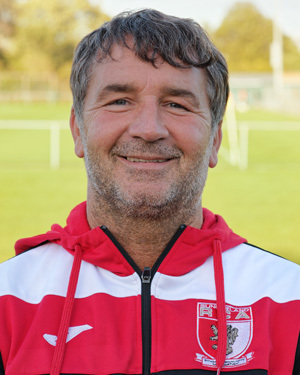 Swaz and his team look forward to this Saturday’s FA Vase tie at Lancashire side Garstang. Looking back at how we’ve done in the Vase over the past few seasons, it still pains me that we haven’t progressed further. Looking ahead however, this is a great opportunity for the lads to realise their potential and possibly go even further than the Fifth Round. Garstang will be well up for this game and it will give them a welcome break from the league, which has been a bit indifferent for them. Saying that, I have all confidence in my squad. If we prepare correctly, apply ourselves, stick to what we do best and go out and enjoy it, we will be in the draw for the next round. We have been drawn at home to West Auckland Town in the Second Round of the Durham County Challenge Cup. The tie is to be played on Tuesday, 18 December, with a 7:30pm kick-off. The Brooks Mileson Memorial League Cup match at Crook Town, scheduled to be played this Wednesday, 31 October, has been put back two weeks and will now be played on Wednesday, 14 November, with a 7:30pm kick-off. This is due to ongoing remedial work to Crook Town's floodlights.